My name is CJ Nigh and I live on the East Coast with my wife and son. This blog is an expression of my constant struggle to avoid becoming an “undead dad”: the domesticated, male personification of apathy, lethargy, and mindlessness. Like many of the fathers I meet, I find the work-day world requesting limitless amounts of my energy, time, and resources, and find myself exhausted at the end of the day. I wanted to create a space to write about the struggle to remain engaged, awake, and mindful in my home life, in spite of the hurdles of the nine-to-five world. I love your philosophy ‘to remain engaged, awake, and mindful in my home life, in spite of the hurdles of the nine-to-five world’. Keep up the struggle, it will be worth it. CJ – I continue to be inspired by your writing and absolutely love, love, love your blog! 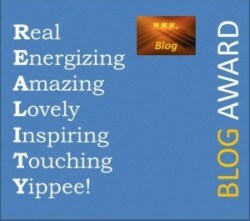 I’ve nominated you for a Very Inspiring Blogger Award. You can ping me back on my blog to get the rules. Keep up the great writing, please! It is fantastic!! !